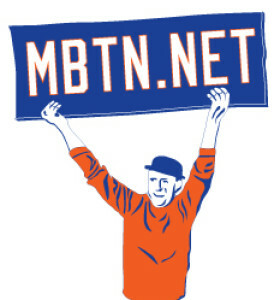 When the 2003 Mets crashed and burned for good, fired Steve Phillips, and hired doomed interim general manager Jim Duquette, one of Duke’s first orders of business (along with the promotion of Jose Reyes) was to clear the team of its disappointing deadwood: Roberto Alomar, Armando Benitez and Jeromy Burnitz among them. And not only did the Mets bounce these guys, but they moved rather quickly to erase their memories by re-issuing all of their numbers, on guys who played the same positions, before the year was out. Before you knew it, Alomar’s 12was on the back of second baseman Danny Garcia. It was reliever Orber Moreno (remember him?) in Benitez’s old No. 49. And in the outfield, Prentice Redman, and not Burnitz, wore No. 20. How cruel. How brilliant. With that in mind, do you think Johan Santana might mind downshifting by 10 from his customary 57? Because, provided he winds up with the good guys, that would be an appropriate tribute to Tom Glavine, the last of 2003’s disappointing veterans and the newest member of the Atlanta Braves. Can you believe Reyes is now the senior Met? Hello again to Luis Castillo, whose four-year contract represents about four times the commitment he probably deserves. Expect to see Castillo back in the No. 1 jersey next year, hopefully without the spare tire providing emphasis. Actually, I think Pedro Feliciano has Reyes and Heilman by one season. He came up in 2002. Yabbut, Feliciano left the organization for a year (and seemed to come back as a different guy). Must…be…annoying… and point out Phillips called up Reyes on June 10, 2003 and was fired on June 12. It doesn’t buy Phillips any goodwill, it’s just not Duquette’s doing. Though it’s also worth pointing out Phillips said something to the effect of “we’re sending Reyes down as soon as Rey Sanchez is feeling better,” which never happened under Duquette. Praise be. I’d like to see the Mets sign Joe McEwing to a one-game contract so he can have 47 back. Super Joe in 11 wasn’t the worst part of T#m Gl@v!ne (his name is now a curse word) being a Met, but it wasn’t right.